Dynalite Service and Repair Brisbane, Gold Coast, Sunshine Coast, the greater Queensland area and Northern NSW. Smartscape Automation is a full Philips Dynalite Value Added Partner and has over 16 years experience on Dynalite service and repair. As the locally based Philips Dynalite Value Added Partner we have direct support from the Philips factory and have a full staff of trained and experienced technicians, having completed thousands of projects across both commercial and residential applications. 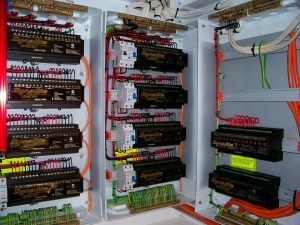 Although well regarded in the industry for how robust the Dynalite product is, as with any electrical/electronic system, from time to time faults may appear from failed components. This could be due to age or from external factors such as lighting strikes, water damage, breaks in cables, voltage spikes, brown outs etc. 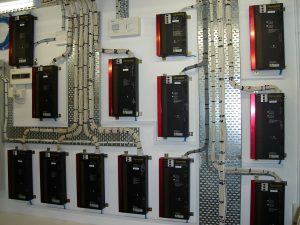 With in house trained electricians and engineers, we have a full understanding of electrical installations and can identify any faults quickly and efficiently. From this we can advise on the quickest and most cost effective solution to get your site back up and running. On top of this Smartscape also provides ongoing maintenance services to ensure your Dynalite lighting Control System is functioning at its best and that any potential issues can be taken care of before they happen. Having your system tuned and checked periodically will also ensure you are achieving the best possible energy efficiency and ensure that any possible downtime from faults is kept to a minimum. So no matter what your site entails new or old for any Dynalite Service and Repair please contact us.